RETRO KIMMER'S BLOG: ROBERT CRAY AND HI RHYTHM NOMINATED FOR A GRAMMY! “It's the most difficult thing to write, a modern blues. The only person I know who can do it well is Robert Cray. It comes straight out of him. Robert Cray, legendary Memphis sidemen Hi Rhythm and Steve Jordan are honored to be nominated for the Best Contemporary Blues Album at the 60th Grammy Awards. “Meegan Voss and I are very proud to release this great album on our label, Jay-Vee Records. It’s been one of the most gratifying experiences of our careers, and we’re grateful to Robert for giving us this opportunity,” says Jordan, who produced Robert Cray & Hi Rhythm," says Jordan, who produced Robert Cray & Hi Rhythm for Jay-Vee Records, the label he founded with Meegan Voss. Released during the 60th Anniversary of Royal Studios in Memphis, recording the self-titled Robert Cray & Hi Rhythm “was a soul, rhythm and blues fantasy camp for us,” adds Jordan, who first met Cray in 1987 while working on the concert film Hail! Hail! Rock and Roll, a tribute to ‪Chuck Berry. “Memphis, for me, is the home of American music,” says Cray, who, for the past four decades has been blurring the lines of R&B, blues and soul with five Grammy wins and over 20 records. The Grammy nomination has been one of the many 2017 highlights for Robert Cray & Hi Rhythm, who each received lifetime achievement awards at the 2017 Americana Music Awards, performed on Conan, Jools Holland, NPR World Café, Beale Street Caravan and featured the album’s protest song “Just How Low” live at KCSN in Los Angeles. “We finished mastering in January 2017. This is an Obama record!” adds Steve, who shared his story this year on WTF with Marc Maron. You can also catch Steve interviewing Robert for his new SiriusXM show, Layin’ It Down. 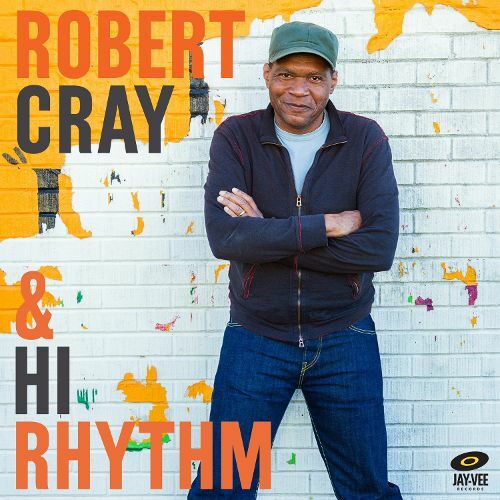 Robert Cray & Hi Rhythm is available on vinyl, streaming and CD through Jay-Vee Records.